There’s a major problem with a lot of settings. They feature super-intelligent geniuses, people with inhuman scientific skills, psychologists with near-total understanding of the human mind, incredible artificial intelligences, and often even the ability to entirely rebuild the human brain – and yet the vast majority of the organizations and groups in such settings are following plans of action that would not get past your average six year old. No one seems to have read the Evil Overlord List. Even those few planners in the setting who show some trace of competence never do anything really subtle or clever. There’s a reason for that of course. Neither the writers (or, in RPG settings, the game masters or players) have superhuman intellects to start with. More insidiously, the writers don’t want to make their audience feel stupid or lost – and so (unlike the situation in many mystery stories) they make their plots simple and blatantly obvious. In a few settings – mostly those where the PC’s are supposed to be the unquestioned stars and plot-drivers – this gets taken to the point of insanity; and every NPC plan is made so idiotic (and doomed to failure) that anything the players come up with short of “I hammer nails into my eyes!” is bound to be better. That does accomplish what it’s supposed to, but it makes most of the background materials for such settings pretty unbelievable when you sit down and think about them – and it tends to get worse with every adventure and expansion. Ergo, here we have a character for White Wolf’s Aberrant system – and a background element and organization for Trinity games – who isn’t quite so incompetent. I can’t claim that the Professor’s plans and responses are really up to what his superhuman intellect would justify – but at least they’re reasonably sensible. To Dr. Edari the conclusion was as obvious as it was sad; human society as it was could not possibly withstand the pressures that vast disparities of personal power would introduce. It had enough trouble dealing with normal human beings… It might be that something stable would arise – possibly driven by the same Nova’s that were driving the existing social order towards total collapse – but despite sleepless nights spent on the problem, he could say little about what form that collapse might take, and nothing about what might come after it. Neither psychology nor sociology was an exact science. One day, when he awoke, he found that suddenly things were a lot clearer. It was all too obvious that he had joined the ranks of the Nova’s – his incredibly expanded intellect left him with few illusions about himself – but he now saw the more inevitable portions of the future clearly – at least in broad outline. The seeds of conflict had already been sown. It was already too late to prevent a major social breakdown. Power in the hands of madmen would almost inevitably lead to war. Some major stroke of fortune might prevent that – but such good fortune was wildly unlikely. Still… Some of the damage could still be mitigated. Many of the wonders of the Nova Age could be preserved out in the galaxy, if not on Earth. Guardians could be set up, and a refuge could be prepared. He set out to arrange it. Qualities: Dex; Coordinated, Sta; Resilient, Per; Observant, Int; Inventive, Wit; Creative, and Cha; Eloquent. Abilities (23): Academics 5, Bureaucracy 5, Command 5, Computer 5, Drive 1, Endurance (3), Engineering 5, Firearms 5, Intrusion 5, Legerdemain 5, Melee 2, Pilot 1, Medicine 5, Resistance (3), Science 5, Investigation 5. Backgrounds (7): Resources 5, Contacts 1 (Component Suppliers), and Backing 1 (College Professor with Tenure). Bonus Points (22): Quantum +3 (21) and Speciality/Gadgeteering (1). Quantum Points (30): Mega-Intelligence (5) (Mental Prodigy/Engineering, 15), Enhanced Attributes (+12 Points, 4), Enhanced Background (Eufiber, 5) (1), Enhanced Abilities +36 Points (5), Quantum +1 (Tainted, 3), Willpower +1 (1). Experience Expenditures (36): Mega-Stamina 1 (Adaptability) (6), Mega-Dexterity 1 (Fast Tasks/Hyperspeed Gadgeteering, roll 1/hour instead of 1/day. Not usable for other purposes) (6), Extra Enhancements: Mental Prodigy; Medical and Scientific, Hyper-Deduction, and Stamina/Regeneration (20), Node 2 (4), and Willpower +1 (4). Automatic Development (To Trinity Aberrent Baseline): Quantum +2 (No Cost). If you want to use the Professor, add additional abilities as seems appropriate; this is a bare-bones framework. He will usually be equipped with a variety of powerful defensive, offensive, and utility, devices. Doctor Edari – better known now as Professor Prometheus – had, as always, been right… The Aberrent attacks had been the final blow to a tolerance already stressed by cults, fantastic (and sometimes unreliable) technologies, and the excesses of the odder Novas. A new dark age was coming. It would be at least a century before the hatred of the Aberrent’s would wane – and all Nova’s would be included in that hatred. In the interim, 99.9% or more of the Nova-created technologies and advances would be lost as well, destroyed by the fearful. If he and the rest of the benign Nova’s remained on Earth, the wars would not stop until mankind had regressed to the pre-industrial era. His friends and allies were ready. The warp-gate was ready, the extra-solar base was ready, and the terraforming of their new world was almost complete. They would found a better world – and maintain a watch over the Earth. There had been casualties amongst the Nippontai, Nordlysene, Team Australis, Team Tomorrow, and the other “superhero” groups – but most of the “quieter” researchers and non-combative Nova’s had survived by withdrawing to the lunar colonies. The final exodus from the solar system included nearly 150 Novas and 200,000 normal humans who had accepted the Professor’s vision. On H97-X3 – now christened “New Olympus” – the colonists thrived. Thanks to the application of Nova technology to medicine, the original colonists are still (some sixty years later) alive, healthy, and producing the occasional child – having “aged” less than fifteen years – and the current population is approaching ten million. While few “spontaneous” Novas have erupted, there are quite a few second generation – and some third generation – Novas around, as well as a few “Induced” Novas. Induced Nova’s are fairly rare however; only the most extensively-tested and reliable humans are even considered for the process. Psionics are known and understood as well (thanks to that super-enhanced intelligence some Nova’s have again), but are even rarer then quantum powers. New Olympus has had agents on Earth (sometimes fancifully known as the “Knights of Olympus”) since before the Exodus. For good or ill, Nova’s had generally been far too well known to work undercover – so the first agents were simply trained human types with some equipment. Later on, New Olympus started providing their agents with technological enhancements or “cyberware”. A few of the quieter second-generation Nova’s – and even a Psiad or two – are available to back up the augmented human agents, but the rise of the Psion Orders have drastically limited their activities. Locate and evacuate new Nova’s, preferably before eruption. Organize and assist in the defense against Aberrant attacks. Obtain information on the goals and activities of the Psion Orders, Governments, Aliens, and almost anything else. Subtly encourage the acceptance of Nova’s (and counteract the prevalent anti-aberrent propaganda/hysteria when possible). Be one of the “Good Guys”. Assist and protect the “normal” population where feasible. Recruit psions and other allies. Maintain security. It is not yet time for formal contact. Agents do get one special benefit; they may take the “device” background at up to level six – representing a set of level five gadgets since there are no level six items and have an easy explanation for where they came from. Being an Olympian Agent is still a “-3” disadvantage though; all those orders can be quite a pain sometimes. “Cyberware” has advantages; it has no encumbrance (+1 “device point”), is concealed (+1), and is mentally controlled (via a neural connection, not via a neotic link. +1). It’s disadvantages include making it harder (+2 difficulty) for physicians and vita- kinetics to treat the user unless they have details on the items (-1), reducing the user’s psionic strength (a -2 penalty on Psi points, -1) and being both difficult to explain and socially unacceptable (no direct game effect but potentially bothersome). 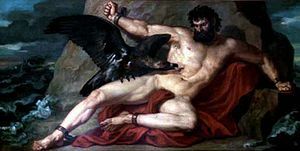 It also tends to disrupt any attempt to undergo the “Prometheus Process” (no relation). Overall a cybersystem costs one more device point then a similar external item. Some specific devices commonly issued to agents will be included with the next post in this series – an agent character.